On December 29, 2003, the last native speaker of Akkala Sami died, rendering the language and its culture virtually extinct. 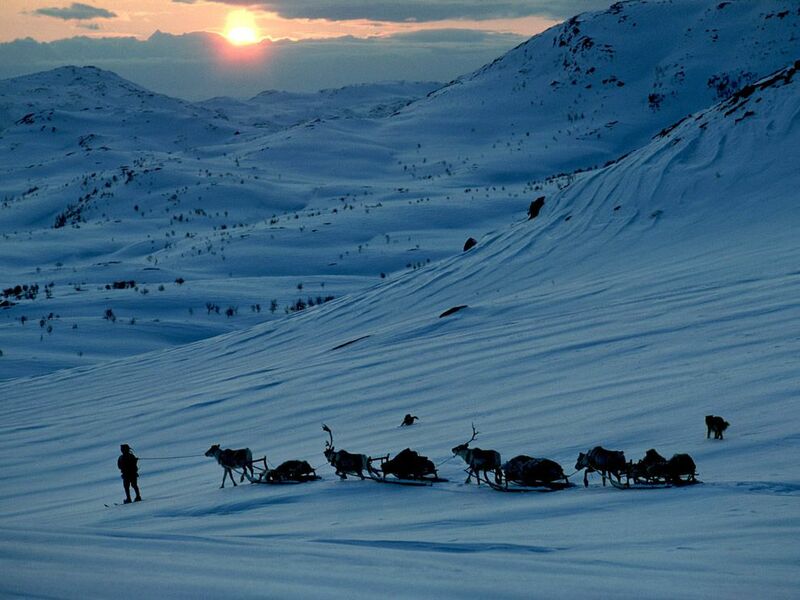 Reindeer are central to Sami society in Norway, where nomadic lifestyles are nearly gone. According to National Geographic’s Enduring Voices Project, by 2100, “more than half of the more than 7,000 languages spoken on Earth may disappear, taking with them a wealth of knowledge about history, culture, the natural environment, and the human brain.” Examples of endangered languages include Huamelultec (indigenous to southern Mexico), Zaramo (indigenous to a region surrounding Dar es Salaam, Tanzania), Pukapuka (indigenous to the Pukapuka Atoll in the Cook Islands of Oceania), Yagan (indigenous to Tierra del Fuego, South America), and Cornish (indigenous to the county of Cornwall, England). endangered language Noun language that is at risk of falling out of practical use as its speakers die or shift to speaking another language. research project focused on studying, documenting, and preserving endangered languages. able to speak, write, and understand a language. to recognize or establish the identity of something.